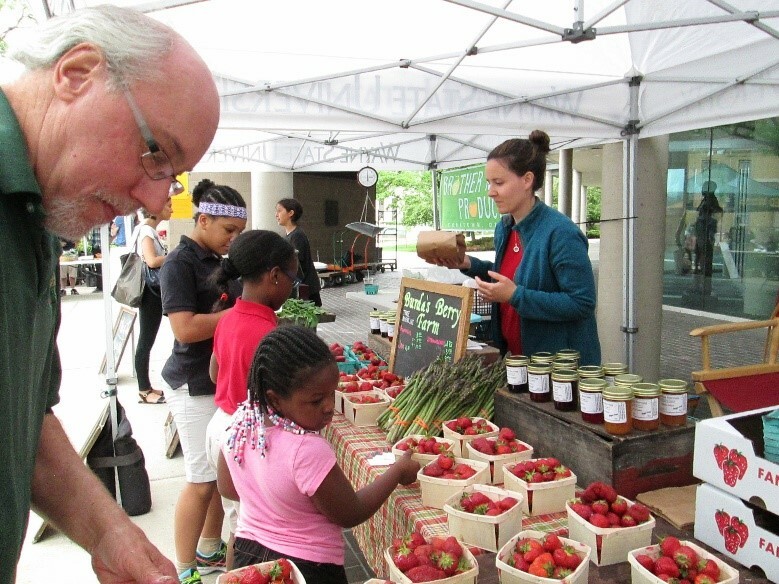 After nine consecutive years of operation, the Wayne State University Farmers Market will take a break in 2017. During this time, it will prepare for a change in management to return in June 2018. SEED Wayne, the market’s founding sponsor, will transfer operations to Wayne State’s Office of Campus Sustainability and the Center for Health and Community Impact, which will run the market jointly starting next year. The move comes in the wake of declining patronage over the last couple of years. “Construction on Woodward and Cass kept many customers away,” said SEED Wayne Director Kami Pothukuchi. “The market also had to move to a location with fewer pedestrians." 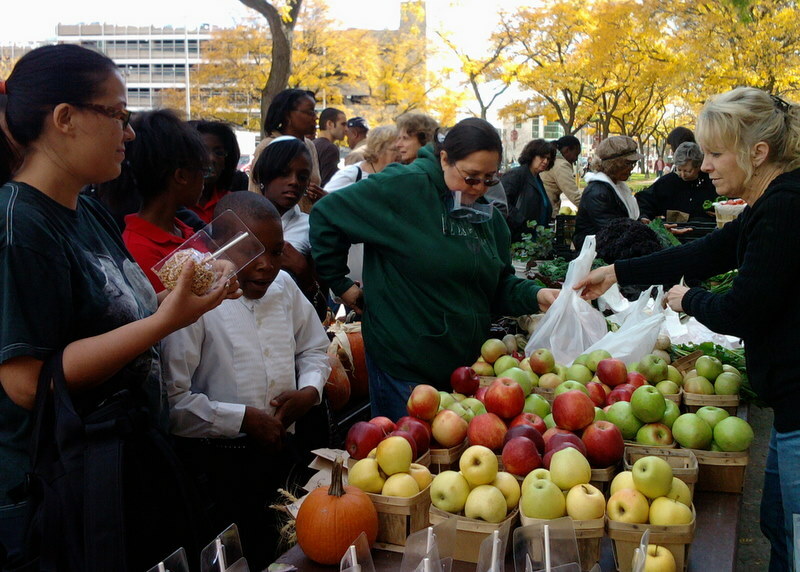 The market has featured a number of Detroit-based growers and prepared food vendors as well as those from out of town. Last year’s lineup included Brother Nature, D-Town Farm, Greening of Detroit, Avalon International Breads, Sweet Potato Sensations, Russell Street Deli, and Brooklyn Street Local, all from Detroit. Van Houtte Farms from Macomb County and Burda’s Berries from the west side of the state were also regulars. Since 2008, the market’s vendors collectively earned nearly $2 million in revenues, serving approximately 200,000 customers. Thousandsâ€¯of patrons, including seniors and students who live nearby, used government-fundedâ€¯nutrition benefits such as SNAP (Supplemental Nutrition Assistance Program, also called food stamps) and WIC Project FRESH and Senior Project FRESH. More than 200 students served as volunteers or employees and scores more participated in classroom or independent studyâ€¯projects investigating variousâ€¯aspects of the market. SEED Wayne has also implemented other initiatives to increase availability of fresh produce on campus and in the community. These include the campus gardens led by students and the Detroit FRESH project that assisted neighborhood corner stores to carry fresh produce. The Office of Campus Sustainability works with the university's academic units, facilities, and administrators on sustainability initiatives. The aim of the office is to increase awareness of environmental issues on campus, reduce consumption of energy and other resources, and engage the surrounding community in related activities. The Center for Health and Community Impact works to improve community health by leading research, programs, and advocacy for healthy living. Its faculty members currently run 15 programs in the community for which they have won national recognition. “We look forward to joining forces with the Office of Campus Sustainability to offer the market in the future. We are particularly excited about serving as a training ground for future food system professionals and connecting them to our community programs,” said Nate McCaughtry, the Center’s director. The Wayne State Farmers Market looks forward to welcoming the public in June 2018 at a location to be announced earlier that year.